Chocri is a German company that plans to open for business in the US in the new year. 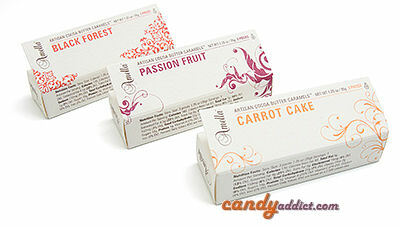 Their website allows you to design your own chocolate bars – white, dark, or milk, with your choice of additions, which range from the normal (nuts, fruit) to the more exotic (gold balls, gummy bears, spices). When they asked if I’d like to order some sample bars to review, I was all “heck yeah,” but as I delved into the site, I began to realize that I am not exactly the ideal customer for this sort of thing. Because A, I have very strong opinions about what flavors go together, and B, I am overwhelmed by too many choices. So, on the one hand the only things I would be sure I would like were the totally traditional choices like milk chocolate with crispy rice. On the other hand I knew that was totally not in the spirit of the thing. What would be the point of getting a combination that I could get anywhere? Well, on the bright side, they sure aren’t anything you could walk into a store and buy, right? Every year, on beaches throughout the world, female green sea turtles haul themselves up out of the sea and perform the laborious task of laying their eggs and burying them in the sand. After about 60 days, the eggs will hatch and the young turtles must scramble across the dangerous beaches in an attempt to reach the sea. These are not those turtle eggs. 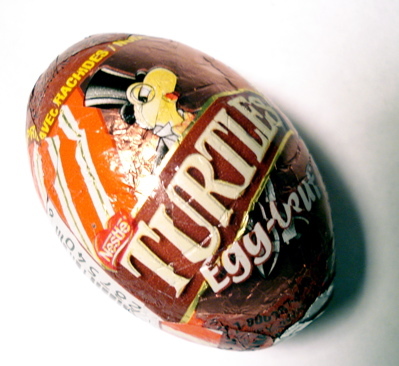 Instead, Nestle Turtles Eggs are based on the pecan and caramel-filled chocolate candies popular at dinner parties everywhere. Now, caramel eggs are a dime a dozen around Easter time (almost literally if you wait for the after-Easter sales to do your candy shopping). 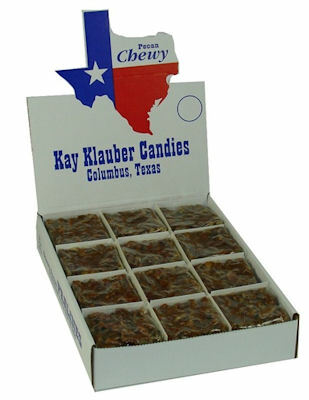 But add one of my most favorite nuts, pecans, to the mix, and you have yourself a winning combination. Turtles are one of the few mainstream candies that contain pecans, but their relative expense means I donâ€™t buy them that often, so I was pleased to be able to score one of these puppies at post-Easter sale prices.